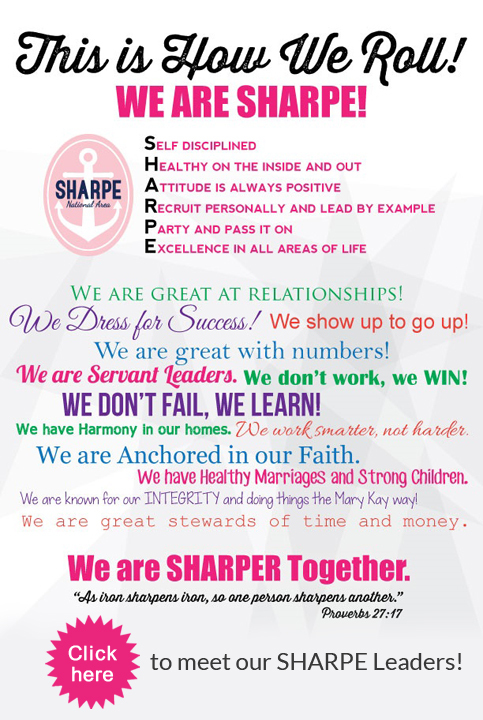 The Mary Kay Adoptee Program is unique in the direct sales world. It is a system that has made it possible for us to operate without territories. You can live, move, sell, build, recruit anywhere in the U.S. because of this incredible program. If you’re not local to Buford, GA and want to get plugged in to MK meetings in your area, please contact your Sales Director immediately so she can find an Adoptee Director for you. If you’re not a part of our Unit, and your Director is outside of the Atlanta area, we are excited to have you join the MNL A-Team. Please print and complete the A-Team Registration Form and bring it with you to the MNL Meeting. In addition, have your Sales Director contact Kristin Sharpe’s office at 678-889-4186. Interested in becoming a Adoptee? Be sure to check out the Adoptee Etiquette information!